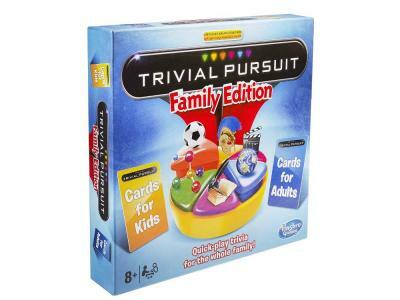 With cards for kids and adults, the whole family can get a kick out of this fun-filled Family Edition of Trivial Pursuit! Family members of all ages can test their smarts with question after question in 6 categories. The game\'s fresh questions and faster pace make for quick-play trivia, and with 1,200 questions.